One of my staff just spent the weekend rebuilding a new clients’ AdWords campaign that was “mysteriously” deleted without notice or cause. The feelings your school instills in a prospective student make or break their buying decision. Those feelings – including that all important first impression – begin long before they ever come face-to-face with your Admissions Rep.
Do you want to see exactly where a school like yours is leaking hundreds of thousands of dollars from small cracks in their Enrollment Management Process? 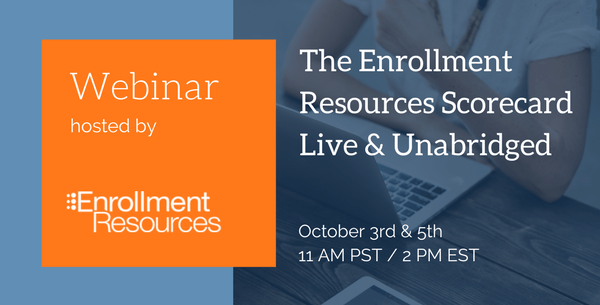 Watch live as Enrollment Resources co-founder Gregg Meiklejohn attempts to uncover $1 million in lost Enrollment Revenues for a small Vocational School he has never met before… in only 45 minutes! Talk about pressure! Click here to reserve your spot. Observe the spectacle LIVE at 11:00 am PST / 2:00 pm EST on Tuesday, October 3rd and Thursday, October 5th. How they’re performing against competitors. 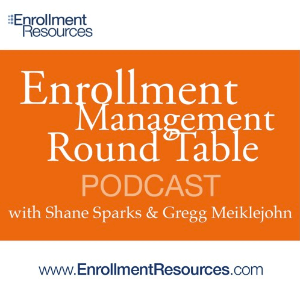 The Enrollment Resources Scorecard Live and Unabridged will no doubt have Gregg sweating bullets. Will he fall flat on his face or will he prevail? The staff at ER are taking bets… but you’ll have to be there to find out. Make sure you save your seat! https://enrollmentresources.com/wp-content/uploads/2019/02/New-ER-signature.png 0 0 Christie Burns https://enrollmentresources.com/wp-content/uploads/2019/02/New-ER-signature.png Christie Burns2017-09-22 05:00:002018-08-24 12:43:35[Webinar] Find $1M in lost enrollment revenues in 45 min? Challenge accepted.